Are you paying too much on your gas and electricity bills? Utility Aid is a consultancy which works with UK charities, NFP organisations and businesses. 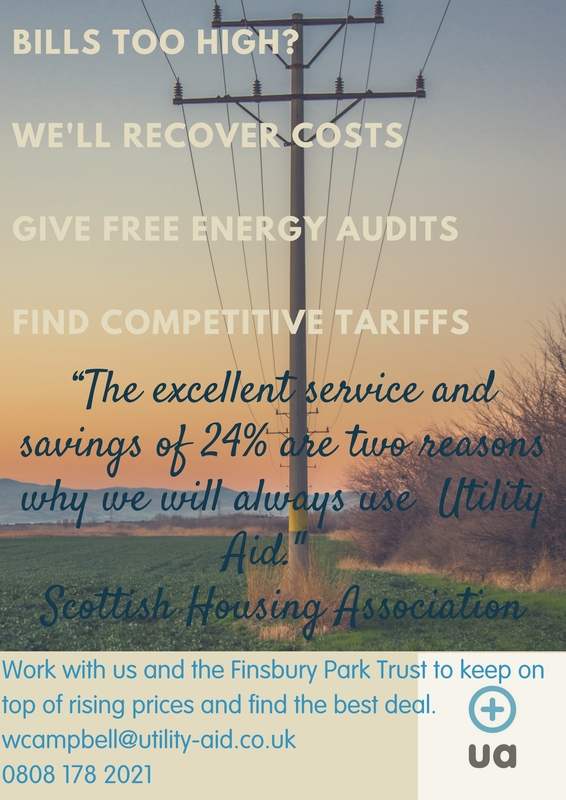 Finsbury Park Trust will refer clients to Utility Aid Ltd, to identify ways in which they can reduce energy consumption and save money on utility services. They will offer a monthly advice surgery on the second Friday of each month. The next session will be held on Friday 22nd February 2019 from 2 – 4 pm at Finsbury Park Trust Offices, 225-229 Seven Sisters Road, London, N4 2DA.